Is Russia really “an oil and gas company masquerading as a country”? That’s the characterization usually attributed to Se. Lindsey Graham. Let’s drill down on that, starting with some GDP stats. Russia’s GDP is only about $1.5 trillion. McCabe’s pension: How much are we talking about? Earlier this week, the FBI’s disciplinary forces recommended that Andrew McCabe be fired for ethical violations that include lying to FBI investigators. Note: That’s the “crime” that Mueller is charging most often these days. Most news sources were reporting that Andrew McCabe was at FBI headquarters yesterday pleading that he be able to retire before getting fired. Why would McCabe put up such a big fight? Simple math … retirement benefits … starting with his government pension. 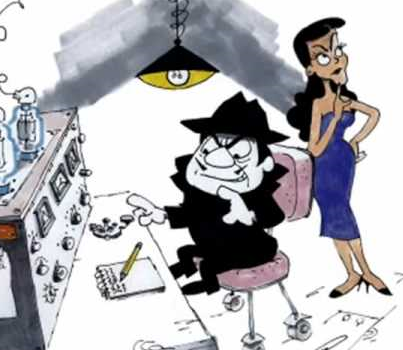 Feds nail Boris & Natasha for trolling the internet. Seriously, this is like something out of Rocky & Bullwinkle. Friday was a very, very bad day for the DOJ / FBI. First, it was disclosed that they failed to act on a very hard tip that the Florida school killer was literally locked, loaded and intending carnage. Then, in an apparent attempt to deflect attention away from that egregious miss, the DOJ / Special Investigator held a spur-of-the-moment press conference to announce that a handful of Russian companies and individuals were being indicted for “sowing discord” and “meddling” in the Presidential election. Rather than just taking the talking heads at face value, I decided to read the indictment. Honestly, it brought back memories … of Dudley Do-Right foiling the feeble plots of Boris and Natasha on Rocky & Bullwinkle. Reporter Kim Strassel had a must read piece in today’s WSJ: Memo Reading for Nonpartisans. After reading it, I conclude that there are 3 likely scenarios to emerge. it’s virtually certain that the memo will reveal that the “Steele Dossier” – which everybody seems to agree (or concede) was funded by Clinton’s campaign (and-or the DNC) – was submitted to the FISA Court to obtain a warrant to wire-tap Trump associate Carter Page. Further, Comey testified to the Senate, under oath that parts of the dossier were “unverified”. The key word in the prior sentence is “parts”. OK, on to the scenarios. (2) failed to explicitly inform the court which parts of dossier had been verified and which parts had not been verified. If this is the case, the DOJ / FBI violated the FISA laws by providing the court with misleading (through omission) evidence. (2) explicitly informed the court which parts of dossier had been verified and which parts had not been verified. If this is the case, assuming that the verified parts were relevant to the application, then DOJ / FBI provided legit evidence and the FISA court ruled on the application based on its merits. That gets the DOJ /FBI off the hook, but shines a light on the FISA Court and the FISA process. The DOJ / FBI refuse to answer whether they explicitly advised the FISA Court of the Clinton-funding or whether they explicitly informed the court that relevant parts of the dossier were unverified. The basis for the refusal to answer would likely be that the FISA proceedings are “sealed” … or that the information is classified. This scenario simply keeps the issue alive at an even higher decibel level. If Scenario #2 plays out … the GOP case is toast. I personally think that Scenario #1 represents “truth”, but …. I’m betting that Scenario #3 will be operative. We should know by the end of the day. WaPo: Proof of collusion with the Russians! But, it was the Clinton campaign and DNC … not Trumpsters. Last night, the Washington Post – hardly a right-wing conspirator – published an exclusive report (that has now been verified by several news sources) that provides evidence tying the Clinton campaign and the DNC to Russians. Will Comey ask Mueller for immunity? Couple of weeks ago, there was aleak that Comey had a file memo documenting that Trump had privately told him (Comey) that he (Trump) hoped that he (Comey) could make the Flynn investigation go away quickly. Left-leaning media started screaming “obstruction” … and right-leaning news outlets countered by looping later sworn testimony by Comey that his investigation had not been subjected to any obstruction. Period. 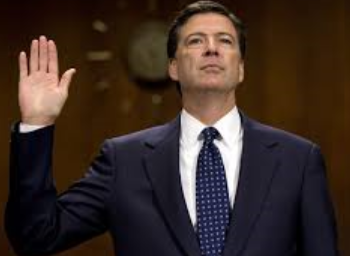 A Congressional oversight committee invited Comey to testify – to clear up the apparent contradiction … Comey agreed. Instead, he met with Rep. Chaffetz who has said that if more information were made public, then folks would cut Comey more slack on his handling of the Clinton email fiasco.